OpUtils offers the ability to map your Switch Ports to devices to its physical location. The IP Address Manager tool automatically discovers the subnets and scan them periodically to get the details of Used & Available IP Address in your network. It also provides various tools for Bandwidth Monitoring, Network Monitoring, Wake on LAN, Detect Rogue Devices in the network, Cisco Config File Management, MAC-IP Resolver, SNMP Trap Receiver and more. For security reasons, you should also check out the AdventNet ManageEngine OpUtils download at LO4D.com which includes virus and malware tests. Additional screenshots of this application download may be available, too. 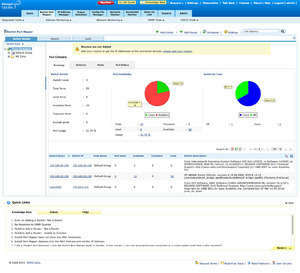 AdventNet ManageEngine OpUtils download been highly rated by our users.